Alan and I went for a long walk through Vasona Park yesterday to enjoy the gorgeous day. 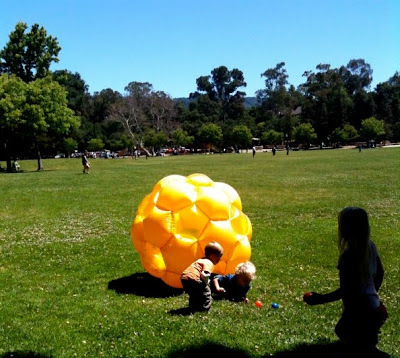 We came across this inflated ball with kids in it — how fun does this look?? I had a plastic ball like this for Fluffy the hamster when I was little and always felt a little jealous seeing all the fun he had when he was inside of it. Hope everyone has a lovely 3-day weekend in inflatable balls and otherwise. Happy Memorial Day! !